Update Oct 4: Pixel and Pixel XL do not feature a microSD slots as premature leaked specfications suggested. Google is taking the wraps off its very own branded “Made by Google” flagship smartphones today, the Pixel and the Pixel XL. Ahead of an official announcement of these two new phones, rumors and leaks regarding specs, release date and price details have given us a solid idea of what we are about these two new Google hardware gadgets. As Gizmodo reports, wireless U.S. phone carrier Verizon reportedly posted images on its web store by accident. 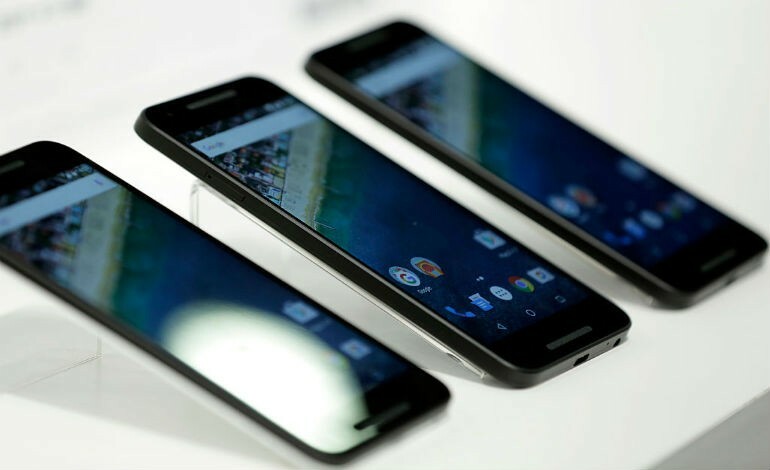 Whether it was inadvertent or just early preparation on Verizon’s part, the product listing page leaked early images and details of the Google Pixel and Google Pixel XL. The top bullet point features on both listings of the phones list “Google Magic” as a main ingredient. It’s unclear whether “Google Magic” is marketing jargon or perhaps bundles software such as a launcher or productivity app. The Verizon leak shows that there is no visible carrier branding on the casing of the Pixel phones, only Google’s “G” logo. According to Droid Life, an inquisitive reddit user hit the “add to cart” button on the Verizon page and screenshot the on-contract pricing information for the Pixel and the Pixel XL. If the prices are accurate, the 32GB and 128GB Google Pixel phone will cost $200 and $300, respectively. Its larger sibling, the Pixel XL which packs 128GB of built-in storage could arrive with a price tag of $419. News about the Verizon leaks arrives on the heels of reports that the Google Pixel duo surfaced on product listing pages by Canadian phone company, Bell and British phone retailer, Carphone Warehouse. Thanks to these premature outings, we now know all the juicy specifications details of the Pixel and Pixel XL, so let’s talk Google hardware. As expected, the base model Pixel is powered by a 2.1GHz Qualcomm Snapdragon 821 quad-core processor alongside 4GB of RAM. While internal storage options are 32GB and 128GB (as per the Verizon leak), the Pixel also features a microSD slot that supports any microSD card capacity up to 256GB. The Pixel should pack a 12-megapixel main camera and an 8 megapixel front facing shooter—potential owner will compose pictures and images of a 5-inch 1080p display. Pixel will also carry a 2700mAh battery, a reversible USB Type C charger and Google’s new Android 7.1 Nougat mobile software. Specs for the Pixel XL phablet are identical to the Pixel except for its 5.5-inch 1440 x 2560 display and 3,450mAh battery. Besides Pixel and Pixel XL, Google will be showing off a new lineup of hardware, including a rumored VR headset. Starting at 9AM PST, 12PM EST, you can watch the live stream of Google’s Made by Google event, starting at noon EST here.